Come experience the Ultimate 3 Story Luxury Log Cabin with its own natural wonder- A Waterfall! So much awaits you! 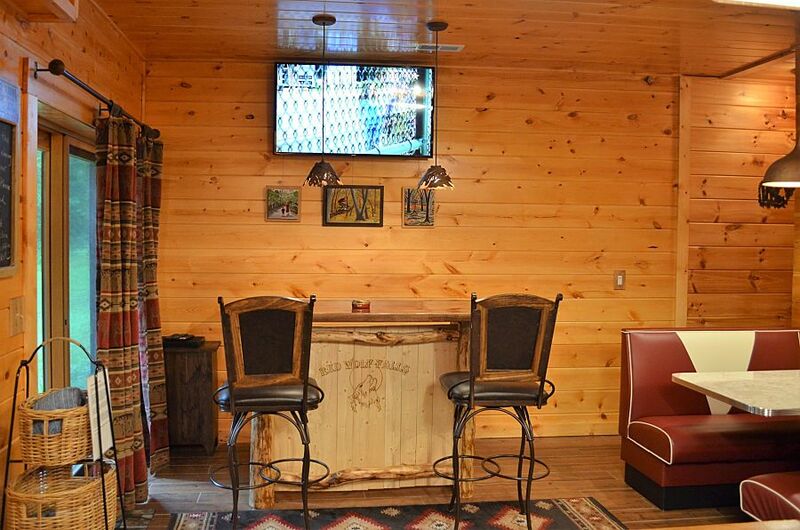 Not only can you step into a Brand New Sundance Spa, Sauna, and Game Room at Red Wolf Falls, but the Hocking Hills State Forest too! Rock House is only 1 mile from our front door! Be sure to click the above link to our website to view a ton of pictures of our log cabin, surrounding forest, outstanding guest reviews, and so much more! Rates as low as 159.00 a night! Note: Average per night rates shown above are 'base rates' which normally do not include additional charges such as additional persons, pet fees (if any), Holiday Adjustments and/or special event adjustments. All I can say is wow. Red Wolf Falls has it all. The owners spared no expense in this place. All you need to bring are clothes and food! We arrived on Friday afternoon and stayed until Sunday. We didn't want to go home. 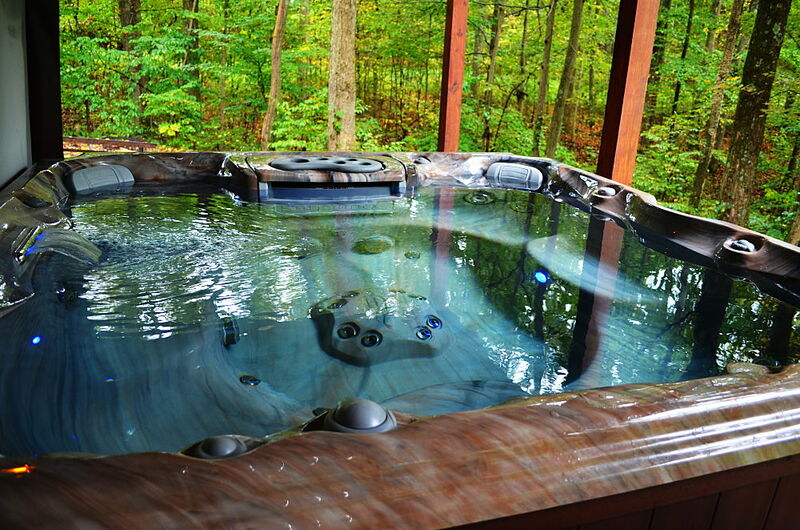 The hot tub is fantastic. The trail off the back of the property is great. 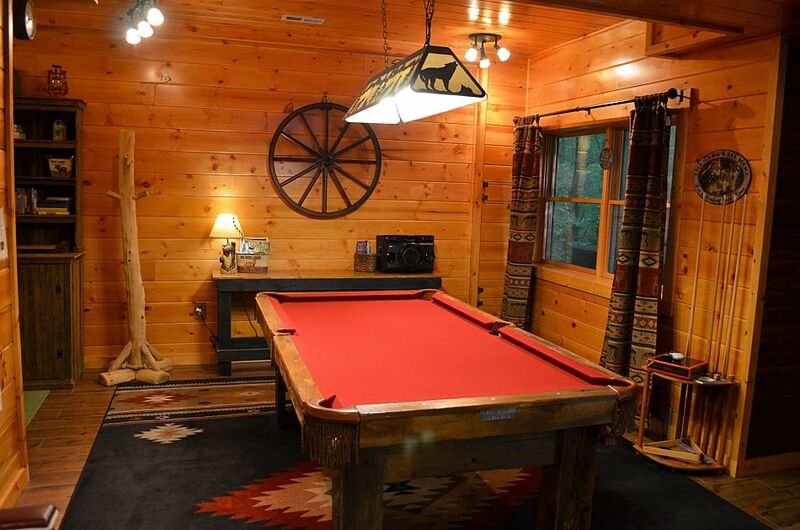 The pool table is amazing. We even played video games! We will be back. 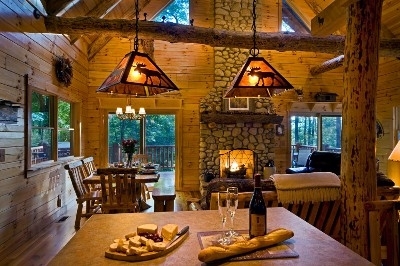 If you are looking for a great cabin experience in Hocking Hills, this is the place. 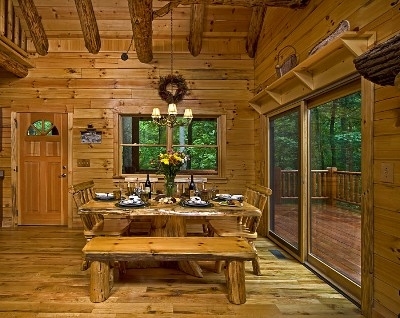 I booked this cabin for a weekend away with my Mom for her 60th Birthday and am so beyond thankful that I found this place!! The whole entire stay was absolutely amazing in every single way. 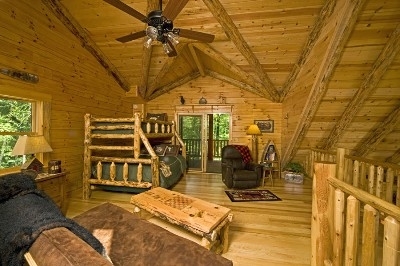 The cabin was extremely clean, comfortable, welcoming and had every amenity that you could possibly need!! Not only was the cabin absolutely perfect and spotless but the owner Mary was so incredibly sweet and made sure to check in with us when we arrived to go over a few small details of the cabin and made sure we made it safely. 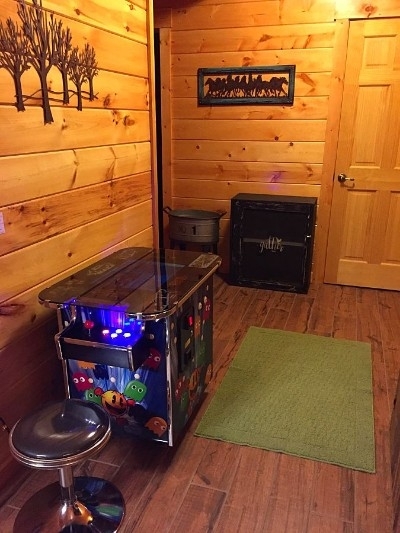 Our favorite place was the living room on the main floor, we had the fireplace on and played games almost the entire time and barely used the TV all weekend. We took a beautiful 1-1/2 hour hike the day we arrived which was literally RIGHT out the back door of the cabin. We were shocked to find the trail for the cabin to be such a long, beautiful and scenic hike. We didn't want to leave this amazing place and have already talked about planning another weekend away! It's obvious that Mary Ed the owners really truly love this place and have it down to a perfect science how to host and make sure their guests have an incredible stay. I would recommend this property to anyone wanting a completely magical and relaxing stay! We've stayed at Red Wolf Falls Cabin three years in a row... and each occasion only makes us want to return the following year. 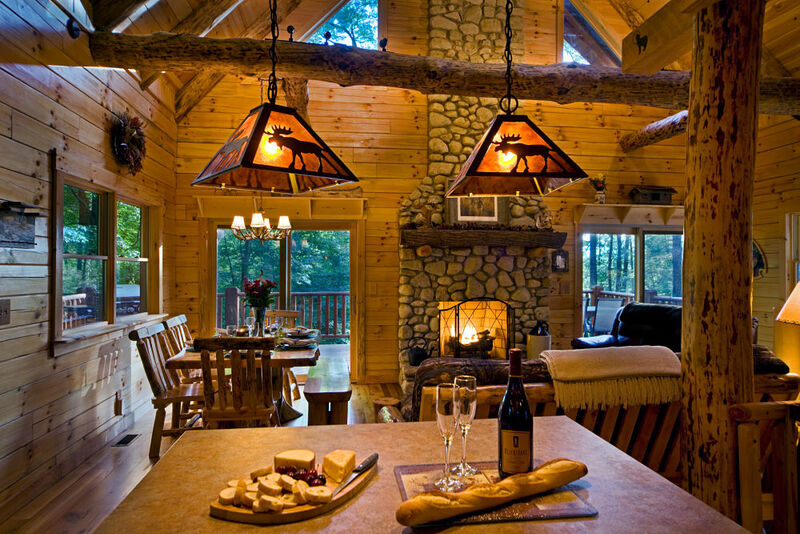 The peaceful setting coupled with the inviting, sparking clean accommodations make this rental a must on the list of Hocking Hills lodging options. On top of everything else, the owners are an absolute pleasure to work with! Slice of Heaven on Earth! Prepare to be wowed! 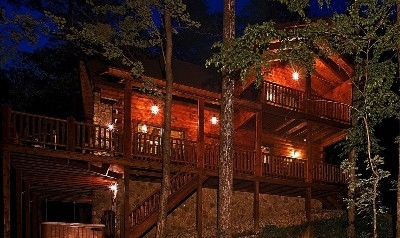 My husband and I have stayed at the gorgeous Red Wolf Falls Log Cabin seven times over the last seven years. It is an absolute oasis of relaxation and a wondrous place to explore nature. 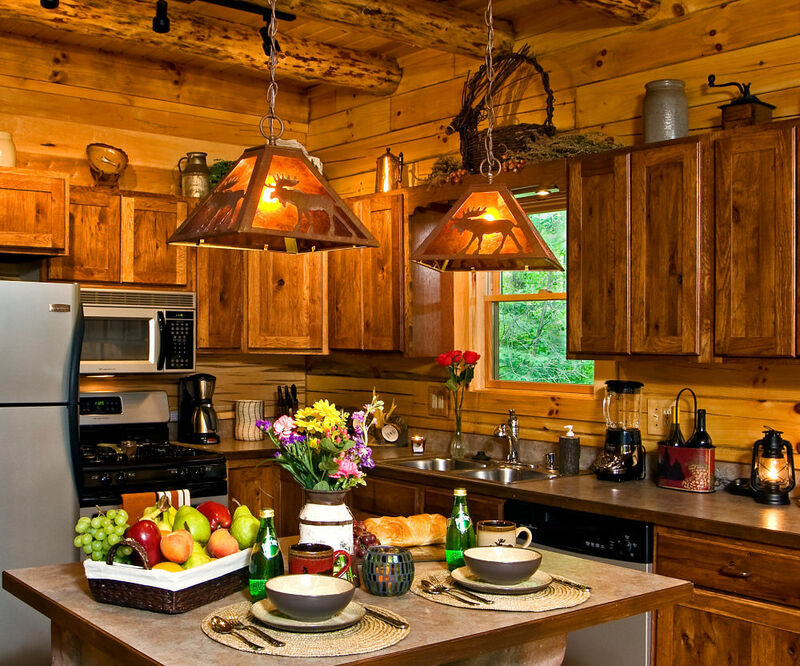 The cabin is beautifully decorated, spacious, and there is so much to do inside and outside on the property. A huge hot tub, swing, outdoor dining, gas grill, and a fire ring make the days amazing. The bed in the master suite is so comfortable and there is plenty of storage space. There are laundry facilities on site and while you wait, you can eat downstairs, play some games, soak in the sauna, and enjoy all three levels of this beautiful log cabin. I am losing my vision to a very rare disorder. As we have visited over the years, my sight has grown worse and worse. However, I am still able to enjoy the cabin, surrounding nature, and the creatures that happen to come by at various times deer, fox, etc.. The fireplace is stunning and so is the fully stocked kitchenjust bring food! 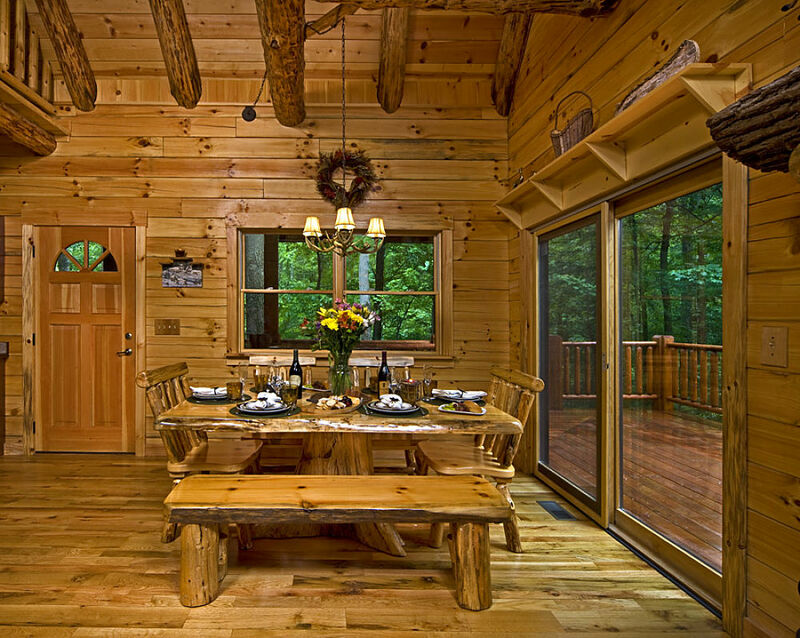 The cabin boasts amazing designinside and outside. Its also close to all that the Hocking Hills area has to offer. Best of all, are the owners. This family is so kind, hospitable, and gracious. We returned so many times due to their kindness and the atmosphere they created at this property. 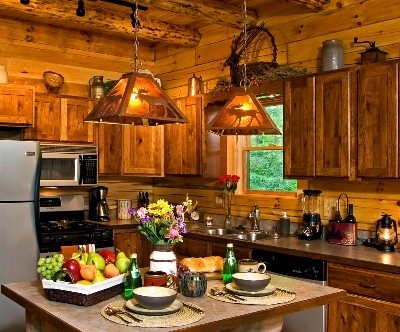 Additionally, the cabin is always thoroughly clean, fresh, and well kept. 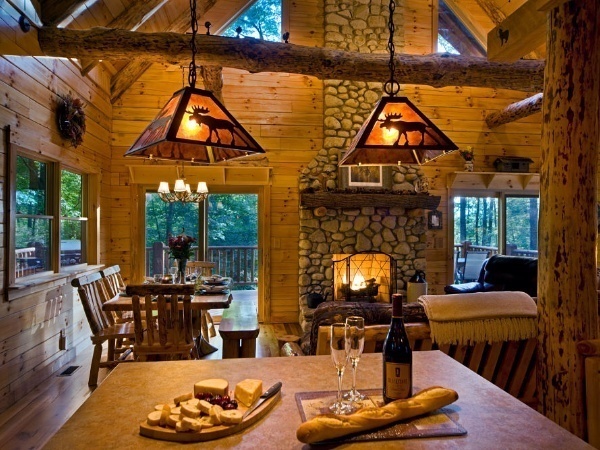 We will keep returning to this cabin. The rates are fair and once you experience the cabin and area, you see how competitive the rates are considering the location and all that comes with this cabin. It even has its own waterfall! 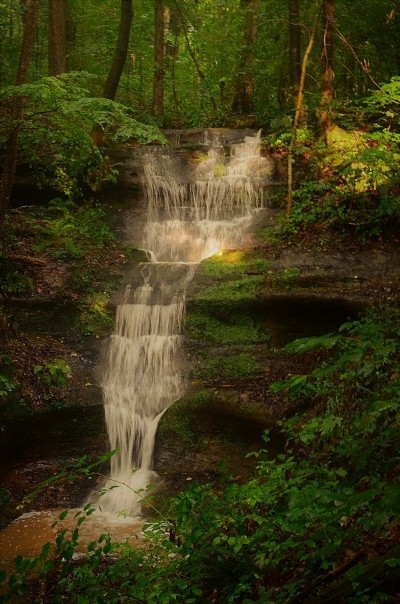 Take a journey to Red Wolf Falls. You will love it!